What is a Pre-Install Campaign? Pre-install campaigns allow app owners to reach vast audiences without running online campaigns. In pre-install campaigns, app owners can ask device manufacturers to pre-install their apps on devices before they leave the factory. Pre-install campaigns can also be a collaboration with 3rd party media sources, which work with various manufacturers on behalf of app owners. AppsFlyer counts an install once an app launches for the first time. Therefore, the number of displayed pre-installs is the number of users launching your app, and not the number of devices which have the app pre-installed on. How Can I Track Pre-Installs Campaigns? 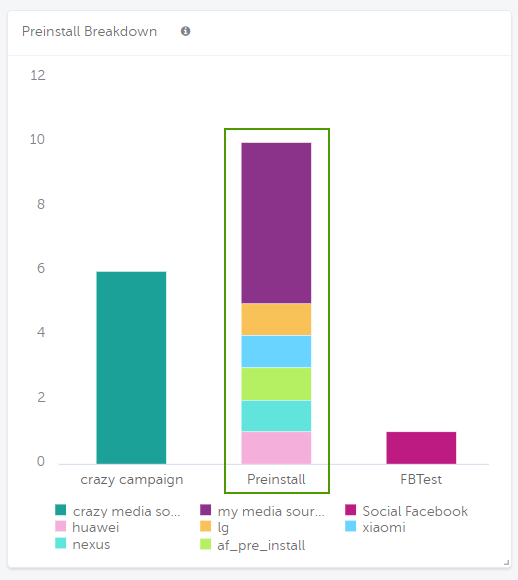 There are four ways to track pre-install campaigns. For more information, see the Setup section in this article. 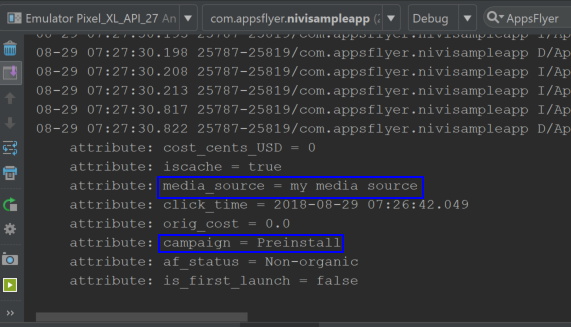 Pre-installs appear in the AppsFlyer dashboard under the attributed media source, just like any other install event. Their campaign name, however, is always Preinstall. You can specify different campaign names for pre-installs with the SDK API Method. There are 4 different methods that you can use in order to track pre-install campaigns. See the table below for a comparison between the different methods. Requires Action from Media Source or Manufacturer? This method is supported from SDK version 4.4.0 and above. The system properties method is the recommended method. It is the cleanest and most robust of all methods. This method overcomes the disadvantages of all the other methods listed above. The system properties method requires actions on both the developer and the manufacturer's side. You need to provide the manufacturer or media source with the APK. The default APK is provided. This method doesn't require a separate APK. If pid is not present in the JSON, the Media Source appears as "None". 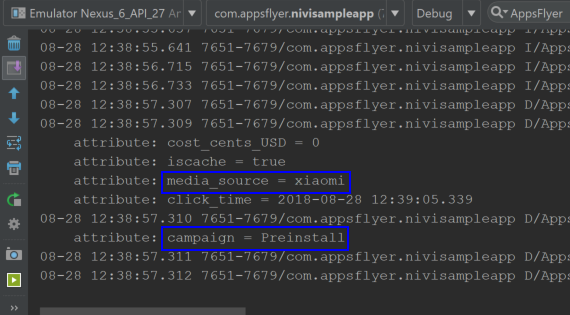 In the JSON configuration, if c is not present then the campaign name is set to "Preinstall"
Once you have the pre_install.appsflyer file, give it to the media source or manufacturer together with the APK. The manufacturer places the pre_install.appsflyer in a file path of its choosing. The pre_install.appsflyer file permissions should be set to 447. The manufacturer then edits the system properties file in order to point to the pre_install.appsflyer file. To do so, the manufacturer needs to add a kay-value pair to system properties. Root permissions are required for this step. Root permissions are also required when testing pre-install configuration. See the Testing section for more details. No need to maintain different APKs for each media source or manufacturer. No need to make changes and add paths to the app on Google play. Manufactures can use custom paths and there are no dependencies between multiple pre-installed apps running on different devices. This method ensures attribution to preinstall campaigns and media sources. Even if a user updates the app before launching it or installs the app after clicking an ad, the preinstall is still attributed to the preinstall media source or manufacturer. Some responsibility is transferred over to the media source or manufacturer. The developers need to be sure that the manufacturer or media source take the necessary steps. Moreover, this method might be a little harder for the app developer to test. The SDK API method provides a native way to specify the manufacturer or media source name to which the preinstall is attributed. The media source parameter is mandatory. The android.os.Build.MANUFACTURER property holds the manufacturer name as configured by the operating system. Using this property doesn't guarantee that you get the manufacturer name in the same format across devices from that manufacturer. Make sure that this property holds the manufacturer name as expected. The campaign and siteId parameters are optional, but are required by the setPreinstallAttribution method. If you don't want to specify campaign and siteId, pass null in both. The SDK API method lets you retrieve the manufacturer name programmatically. No matter the manufacturer, the SDK method retrieves the name directly from the device. This means that you can maintain one APK for all manufacturers that you collaborate with. The setPreinstallAttribution method allows you to specify the campaign name. You can separate each manufacturer or media source into different campaign, rather than have all of them set under the "Preinstall" campaign. If you are working directly with manufacturers, you have to maintain two versions of your APK, one for manufacturers and another for Google play. In either case, more than one APK is required. If you are working with several media sources that communicate with the manufacturer on your behalf, you need to maintain a separate APK for each media source. A user with a new device updates the pre-installed app directly from Google Play without first launching it, the install is considered organic. A user with a new device updates the app from Google Play after clicking an ad, the install is attributed to the media source that serves the ad. You can implement logic in the app to make sure that the install is counted as pre install, even if the scenarios above take place. Both the Play Store APK and the APK intended for Pre Install should contain that logic. You know that apps are pre-installed on devices of a given manufacturer and model. These devices are also running with a given carrier. When the app launches, you can check for these conditions when the app launches. If these conditions are met, the install is recorded as pre install. Since the logic also exists in the Play Store APK, the install is recorded as Pre Install even if the user updates the app before launching it. The name in manifest method requires you to add a meta data tag to the app's manifest file. You need to repeat this step for every media source or manufacturer that you collaborate with. When the app launches for the first time, the AppsFlyer SDK detects this meta data tag in the manifest file and attributes the install accordingly. The name in manifest method is considered an easy method for tracking pre-install campaigns. There is only one tag to add to the manifest. In addition, the media source or manufacturer don't have to do anything on their end in order to enable campaign tracking. Since the meta data tag specifies the media source or manufacturer name, you need to maintain different sets of APKs, one for each media source or manufacturer. A user with a new device installs the app from Google Play after clicking an ad, the install is attributed to the media source that serves the ad. This method requires both the developer and the manufacturer to perform some actions on their end. Create a file that contains a key-value pair. The file should be called pre_install.appsflyer. In the file, specify the key-value pair in the format of <PACKAGE_NAME>=<MEDIA_SOURCE> For example, com.appsflyer.sampleapp=my_media_source. Once you have the pre_install.appsflyer file give it to the media source or manufacturer together with the APK. Talk to the media source or manufacturer and agree with them on a path where they put the file. The recommended path is "/data/local/tmp/pre_install.appsflyer". The manufacturer needs to put the file in the path that is agreed upon. The pre_install.appsflyer file permissions should be set to 447. Once the app launches, the SDK looks inside the manifest file, sees the specified path and looks for the file there. When it finds it, it attributes the install according to the media source that is specified in it. Some manufacturers prefer to put the file in a non-default path. In such case you can specify this non-default path in the manifest file. Non-default path requires SDK version 4.8 and above. Although non-default paths are allowed, we recommend implementing the System Properties method instead. 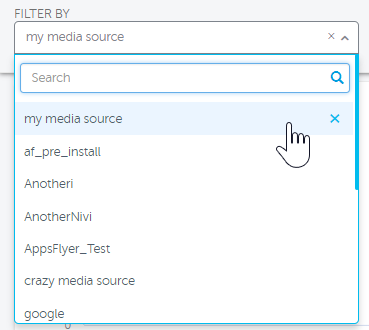 You need to maintain separate pre_install.appsflyer files for different media sources or manufacturers. Manufacturer might want to put the pre_install.appsflyer file in a non-default path. In this case, you need to maintain separate APKS for each non-default path. This section demonstrates how to test and verify your pre-install configuration. Before you start testing, make sure to whitelist the devices you are using for testing. Also, make sure to set debug log to true in the AFApplication class. To avoid caching issues and for best results, it is recommended that you clean the project before building it. In Android Studio, click on Build in the context menu and choose Clean Project. If the configuration is successful, a non-organic install that is attributed to a manufacturer or media source appears in the dashboard. The install event is also listed under the "Preinstall" campaign. Repeat the process for every manufacturer or media source that you collaborate with in a pre-install campaign. If you have campaigns for several apps that are installed on the same device, you can specify the apps in the pre_install.appsflyer file. If the media source or manufacturer that you collaborate with is an AppsFlyer partner, you can enable postbacks for installs. To do so, make sure that the media source name is equivalent to the media source pid as it is configured by AppsFlyer. For example, if you are collaborating with Xiaomi, its pid is xiaomi_int. You can see the pid by examining the tracking link of an integrated partner. Discrepancies - How Does AppsFlyer Count Installs Compared To App Store and Google Play?